If you are an employer or looking to start employing people in your business, then you should be aware of the workplace pension. When and What is my Automatic Enrolment Staging Date? All employers are legally obligated to put staff into a workplace pension and contribute towards it every time staff are paid. The precise contribution you must make is shared between yourself and your employee, but a legal minimum amount will apply depending on the date you enrol. For most companies, 2017, due to new laws concerning workplace pensions (i.e. employers must offer one) will serve as the year of their staging date. This applies to you no matter what the size or nature of your company — even if you employ one person, you must ensure that any worker is automatically enrolled into a pension scheme and receiving the minimum contribution towards it. If you are looking to start employing people before 1 October 2017, you need to be aware of your staging date, outlined below. If you intend to become an employing business after October 2017, your duties to your staff will be effective immediately. In short, 2017 is a vital year for ensuring your pension scheme is ready to be rolled out to your employees. Knowing which employees are eligible for automatic enrolment, what is expected of you as an employer and the charges, dates and contributions you must make can be an overwhelming task at first. Consider this the essential guide to automatic enrolment and workplace pensions, where we aim to clarify the process so you know what is expected of you as an employing business. Of course, this guide is for educational purposes only, so you should consult with a legal or financial expert to meet the specific needs of your business. Who Qualifies for Automatic Enrolment? Automatic enrolment was outlined in the 2008 Pensions Act and is controlled by The Pensions Regulator, ensuring workplaces comply with the laws governing employee pensions. Your line of work does not affect your pension duties. Whether you own a start-up in fashion or a cleaning company, if you employ one person or one hundred, temporary or permanent, your legal duties with respect to workers’ pensions is the same. Your responsibilities are calculated based on your pay-as-you-earn (PAYE) tax scheme. If none of your staff are paid more than £113 a week, you are not required to have a PAYE scheme, however, you are still required to automatically enrol your employees into a staff pension scheme. Most of your workforce will, therefore, be eligible for automatic enrolment and your own contributions to their pension pot. Workplace pension contributions are split between the employee and the employer. As of 2017, you, as an employer, are legally required to pay an employer contribution of at least 1% to each worker, with a minimum total contribution of 2% between yourself and your employee per paycheque. The amount of contribution may be set at a higher level than the legal minimum by yourself or your chosen provider. As such, even staff on temporary contracts, or who are currently away, still need to be part of your company’s automatic enrolment, and maternity leave or other paid leave, will not affect their eligibility. The Pensions Regulator has a contributions calculator available online to assist in working out costs for each of your employees. It is the responsibility of the employer to select a suitable pension scheme for their employees. Not all pension schemes offer automatic enrolment and are not guaranteed to accept every member of staff you employ based on their individual criteria. For this reason, employers should carefully select the pension provider they wish to use during the operation of their business. A pension scheme should be able to accommodate all of your staff, including, for example, tax relief for those who do not pay income tax. If you employ workers on a mainly temporary basis, you may wish to opt for a provider who allows a refund of all contributions less than 2 years old. This will allow any leaving employees to reclaim any contributions they have made and enrol into a new scheme with their next workplace. These workers also have the option to keep the scheme open and continue to pay into it, as the pension is their own, and does not belong to the employer who enrolled them. They may also choose to stop paying into the scheme and move into a new one with their next employer. Either way, they can still access the money they have saved when they reach the specified pension age. Automatic enrolment for directors is not required under the Pensions Act. Directors registered with Companies House or without a contract of employment are exempt from automatic enrolment. If your company consists of one or more directors without a contract of employment, and without any other workers holding this contract, you must inform the Pensions Regulator that you are a non-employing company. This will help ensure you are not held to any automatic enrolment duties. If your staff are eligible for automatic enrolment, then you must ensure that you give written confirmation of their enrolment (or ascertain that your chosen provider has done so on your behalf) to each employee. This written communication should explain the process, including the levels of contribution as split between both you as the employer and them as the employee. You must let the Pensions Regulator know that you have enrolled an employee into a pension scheme – this is legally required - by completing a declaration of compliance within 5 months of doing so. Changes in earnings: If you have regular promotion in your business then be aware that once your employee reaches the auto enrolment qualifying earnings (the yearly, monthly and weekly figures outlined above) then they must be enrolled into your pension scheme. Changes in age: If you have employees aged under 22 then be aware that they must be added to your pension scheme once they reach the automatic pension enrolment age of 22. Opting out: Some employees are eligible for automatic enrolment ‘opt out’. This is when an employee voluntarily withdraws from your pension scheme. If they do so within a month of being initially enrolled,you must ensure no further contributions will be taken from their salary and provide a complete refund of what they have paid so far. You must ensure this process is completed within a month of their opting out. Re-enrolment: This occurs after 3 years, and requires you to place staff members who have left your scheme back onto it. You must write to them letting them know of their re-enrolment and complete your declaration of compliance once again. Record keeping: Records of your adherence to your legal duties concerning the workplace pension should be kept up to date. These include names and addresses of all individuals on your scheme, records of when contributions were made, your scheme reference number and any requests to leave or join the scheme you have received from staff. 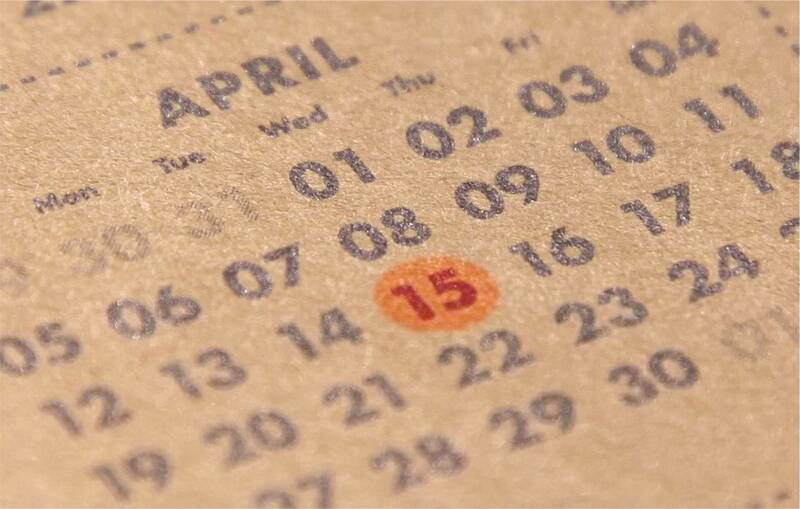 Your staging date is the date when your workplace pension duties as an employer come into effect. Auto enrolment staging dates are unique to each company depending on when they first became an employing business, each date is set in law. Staging dates are calculated based on the information as held by Her Majesty’s Revenue and Customs on 1 April 2012, when the workplace pension scheme was nationally enforced. You are generally able to calculate your staging date based on your PAYE references as used on this date.The Pensions Regulator’s online tool uses this data to ascertain your staging date. You applied to move your staging date forward, as is the common choice for businesses looking to align it with the end of their financial year. The online tool will not reflect this, your official confirmation of this change by the Pensions Regulation will confirm your staging date. You have changed PAYE reference since 1 April 2012, the online tool will require your original reference as active on 1 April 2012. Your legal duties are effective immediately. The Pensions Regulator offers an online automatic enrolment Duties Checker to help make you aware of your legal obligations. What if I Miss My Staging Dates? If you miss your automatic enrolment staging date, you will be required to complete the same process but you will also be required to pay the contributions you have missed and backdate them. All eligible employees must receive their backdated auto enrolment contributions.